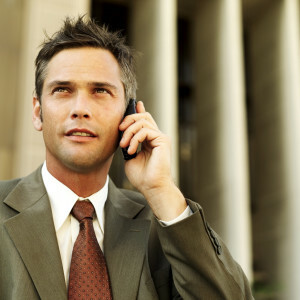 How to choose a business phone? It help you to communicate, bring you the latest news, you have fun when you’re on the road, help you work every day. No, there is no best friend or personal assistant, is your mobile phone. In recent years, mobile device technology has advanced so much that they have more power than 8-10 years ago computers. Mobile business, known as “smartphones” now allow entrepreneurs to take their office with them on the road, no longer need to a laptop and an arm of cases. First, you should ask why you need a mobile device. With what you work more often: documents, PowerPoint files, video, browsing the Internet? Secondly, before you buy any phone, you should test it to see if you can get used to it, if it is easy to use and compatible with applications if you run the day to day. Would not it be great to buy a phone for e-mail and find that does not support synchronization or mailbox posts come with delay, for example. A good idea is to ask for recommendations from friends and acquaintances that use such devices. Imagine that you have to go for longer time from the office or at night in a city that do not know and need to call for someone who will guide you – the last thing you want it is that phone battery to stop. Looking for a device with good scores in terms of battery (at least two hours of continuous talk time) and who have a charger to slip into a briefcase. The business details are discussed on the phone, but the official notification is made in most of cases, by e-mail. So it is almost mandatory for a business to have a phone that supports at least e-mail. – WiFi connectivity – allows you to connect to wireless internet networks. They offer fast data transfer and free, because this type of network connection is not made by telephone operator. Also, the wireless telephone can wear free, if your phone supports VoIP applications. – Compatible with Word, Excel, PowerPoint or PDF – allows you to receive and view, and send documents. Some phones have the option to edit these documents.